The major European actors in the games, toys and tie-in products market, Abysse Corp offers a wide and varied range, guaranteeing that you receive high quality products. 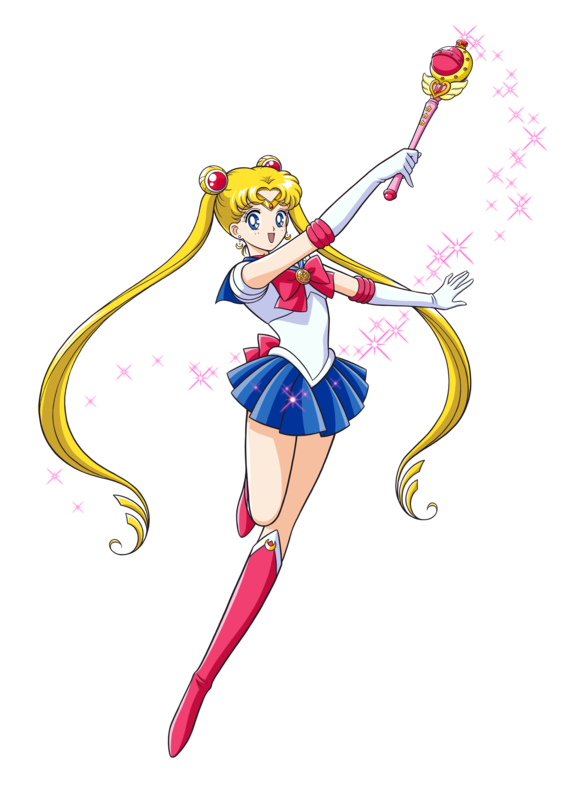 Bolstered by the strength of our own brands, you will also find thousands of references from the biggest licenses in Manga, TV Series, Movies, Comics & Video Games in our catalogue. Abysse Corp provides the peace of mind to our clients that they are offering their customers a complete universe of tie-in products, ranging from specialised to mass appeal, from Star Trek to Frozen. Created in 2007, the ABYstyle brand was invented by its fans and for its fans: the hopeless nostalgic fans, gamers, movie-goers, manga addicts and every other geek in between, ABYstyle strives to be inter-generational and universal. 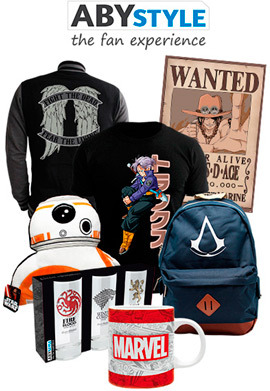 Our mission: Spread the geek culture to every home! To achieve this, we are offering tie-in products of quality based on the biggest geek licenses and entertainment titles, and from a multitude of universes, Manga, TV Series, Cinema, Comics, Cartoons & Video Games, to fulfil the dreams of any fan, even the most demanding! 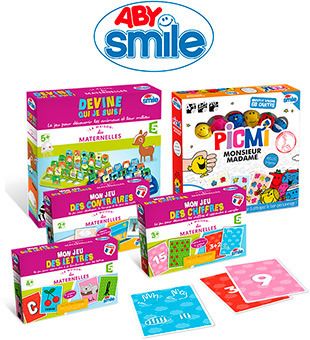 The “little sister” to ABYstyle, the Abysmile brand offers developmental games, educational games and board games for children between 2 and 6 years old. Our reflexion is based on three fundamental notions: to enjoy, learn and share. Three concepts that evoke a mutual moment of family fun through a shared game experience. Our team works in close collaboration with numerous actors in the young childhood universe from the very conception of our products right through to the production and packaging, with the aim to offer the best quality product for the children. For us, a good game is a fun game, filled with quality elements, encouraging the awakening of a child’s senses and adapted to the age of the child. Creating a family Moment of Smile between parents and children to grow and laugh together, this is what inspires Abysmile every day! To create games and toys that correspond to the universe of the child, we work in collaboration with strong licenses which respect our values: La Maison des Maternelles (“The Nursery”, a French television programme, broadcast daily on the national channel France 5), and the British Mr Men & Little Miss. In addition to our own brands, several thousand references enrich our catalogue of games, toys and tie-in products, joined every day by dozens of new licensed products. In total, we have gathered together more than 50 partners, with tie-in products from the United States, Europe and Asia. Our purchasing department, in collaboration with our sales team, meticulously selects the products that we reference in order to present a wide offer with respect to each universe. We concentrate our efforts on the products which will make your shop a force: a finger on the pulse of current trends, a tailored offer for your shop, our team proposes a personalized service to assist you in your choices. As an expert in the games, toys, and tie-in products market, we have been refining our knowledge and developing our skills for over 10 years. An informed team with a wide offer, at your service. We distribute the biggest games on the Collectible Card Game market, such as Yu-Gi-Oh! (from the Japanese publisher Konami). In complement, we develop and manage an organised play program, entirely managed and hosted by our subsidiary OPS (Organised Play Service). Always on the lookout for new licences, we offer you the stars of today to satisfy current consumer demand and, at the same time, we present the key licenses of tomorrow, anticipating trends and putting your outlets at the forefront of the buzz. The quality of the products that we sell, from conception to delivery, is at the forefront of our minds. Abysse Corp commits to offering safe products, both of our own brands and for our external suppliers. We select the raw materials and the production techniques we use with great care in order to better control the manufacturing process. All the references in our catalogue respect the European quality standards and respect the specific safety, legal and administrative requirements of the market. We have set up a collaborative partnership with the company Auchan with a view to ensuring ongoing safety and quality proactivity. We have a quality representative dedicated to the quality and the respect of standards and we can confirm both the quality and the safety of our products.